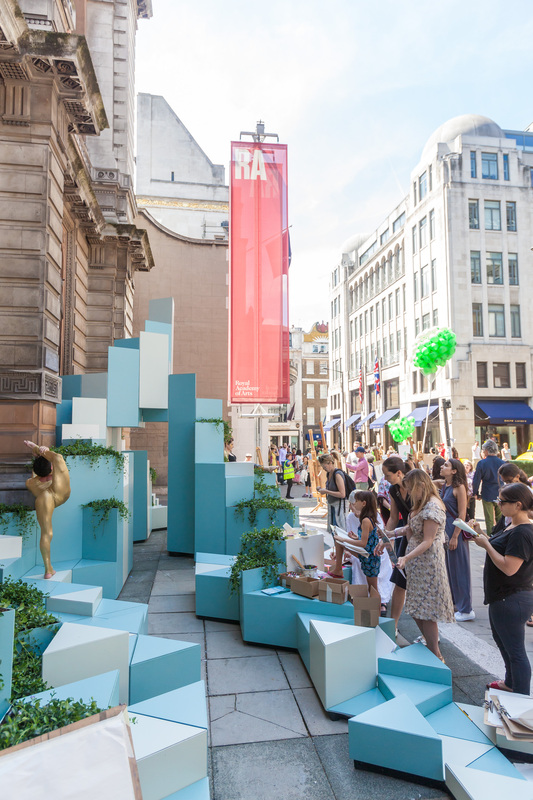 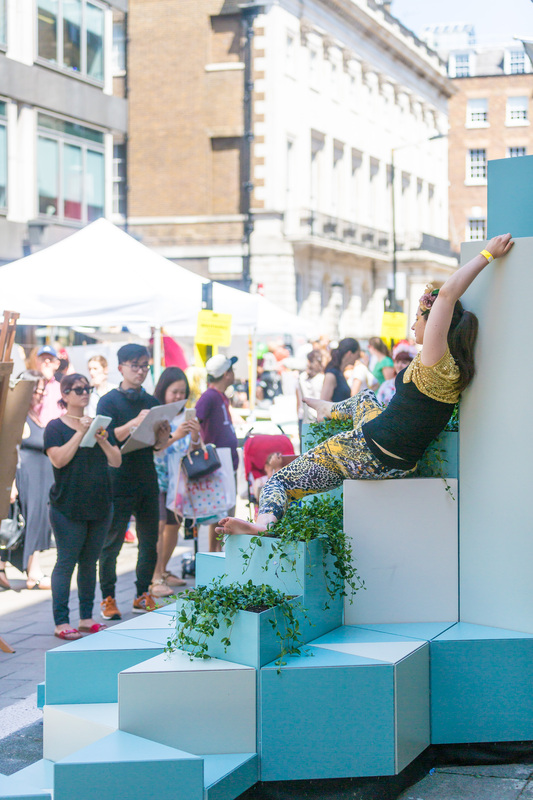 On Saturday 4 July, we were invited by Royal Academy to unleash acrobat life models onto the geometric ceramic sculpture installation ‘Unexpected Hill’. 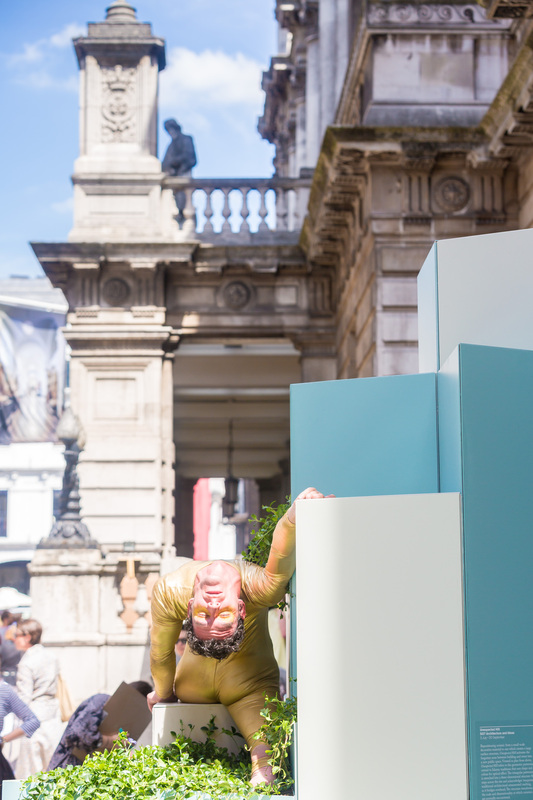 We had a flipping brilliant time with our two contortionist models, Tommaso and Amy, bending into incredible poses across the sculptural shapes. 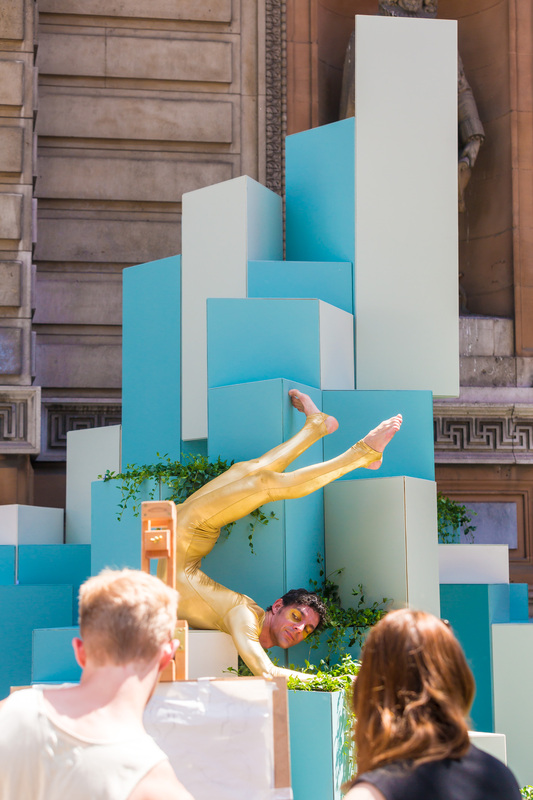 In the heat of the July sunshine, their gold leotards and acrobatic skills dazzles spectators and sketchers all day from 12-5pm- quite a feat! 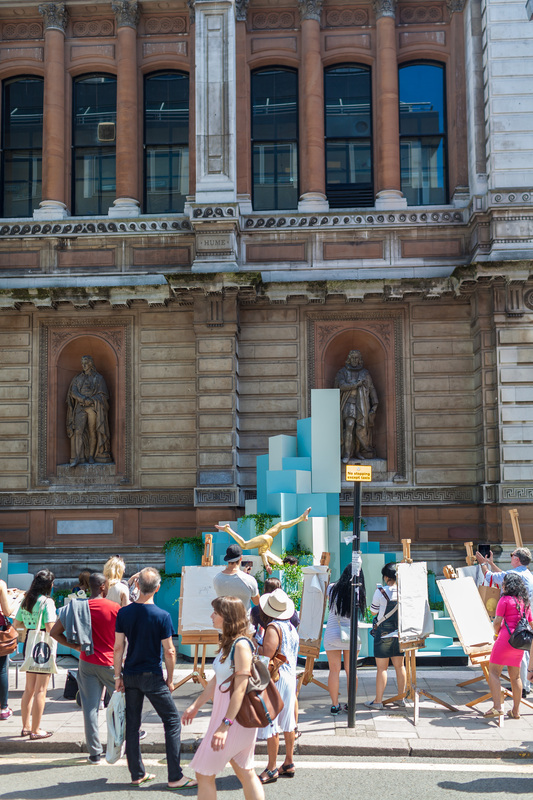 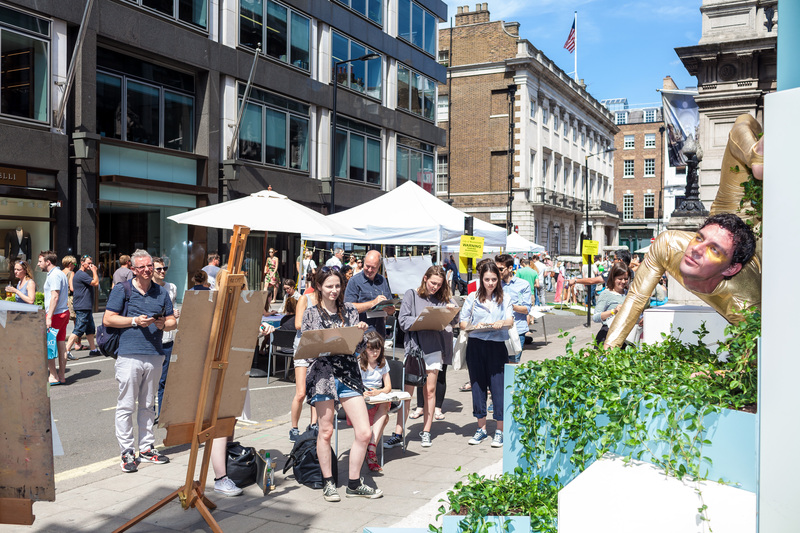 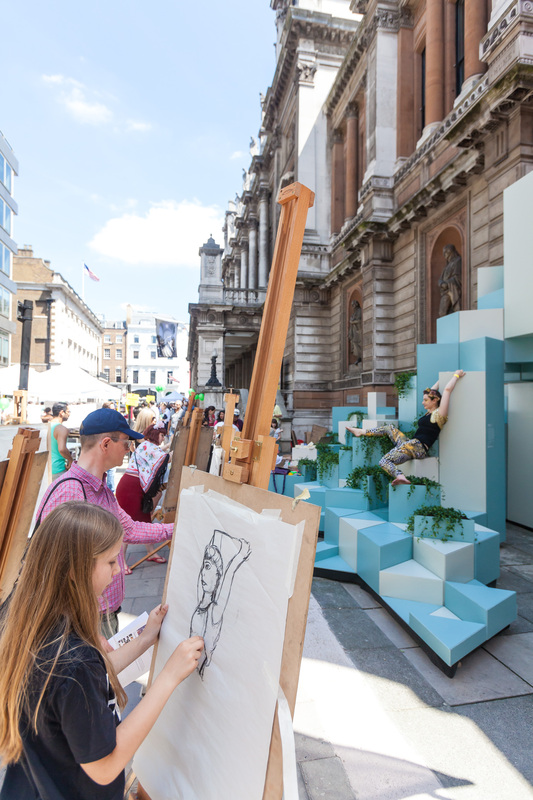 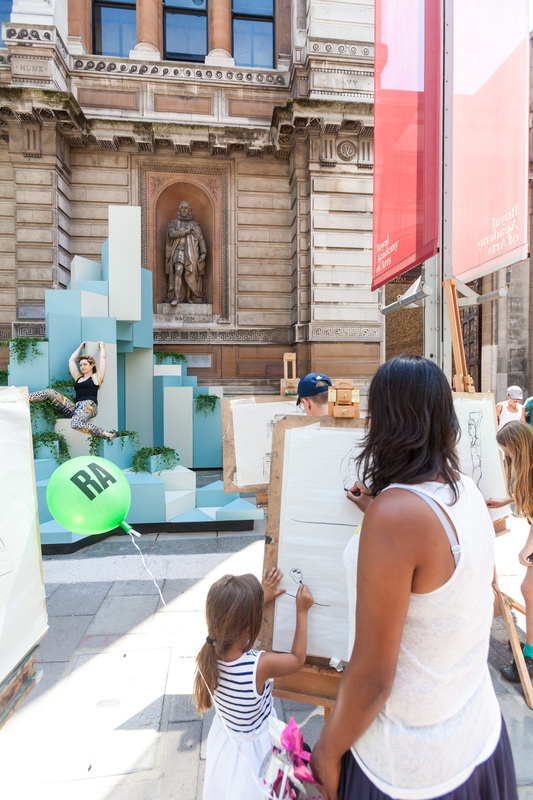 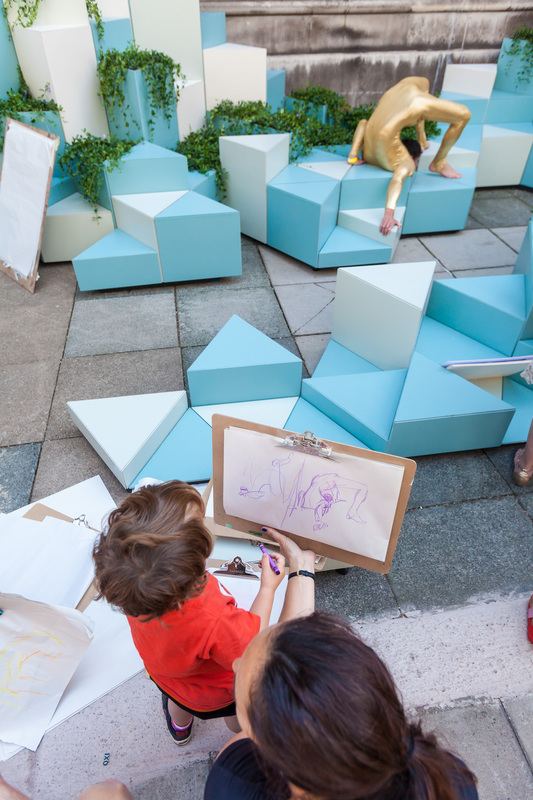 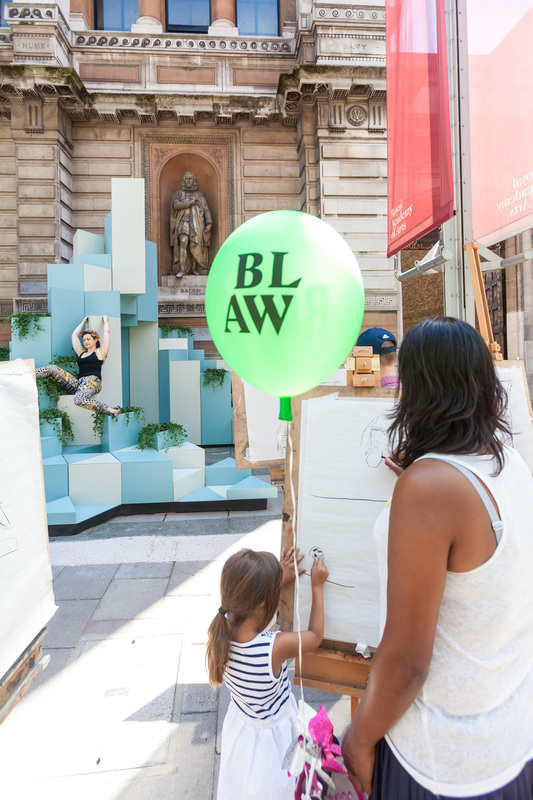 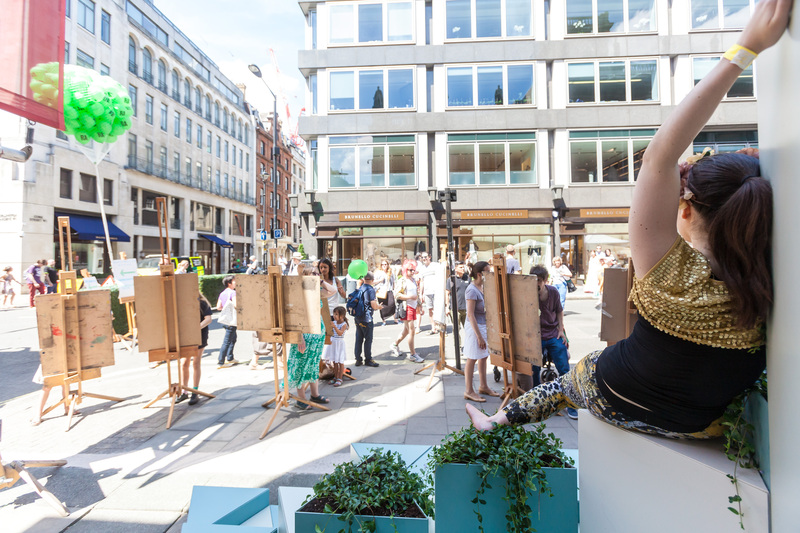 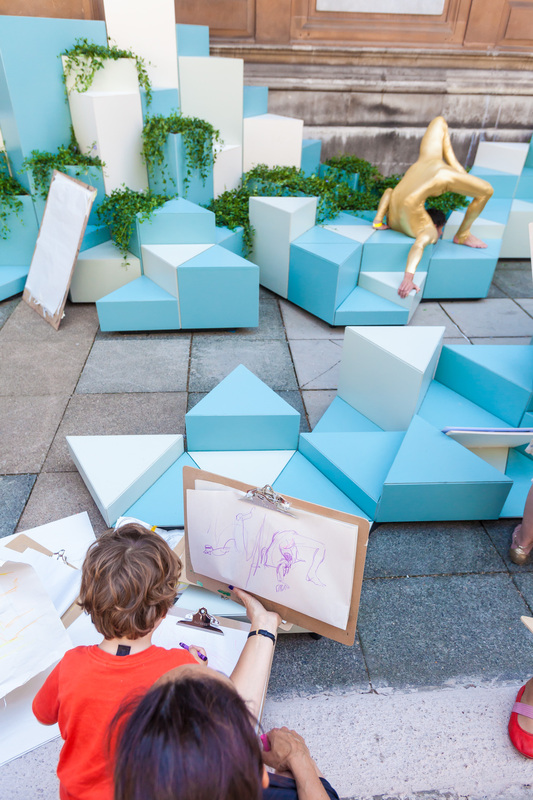 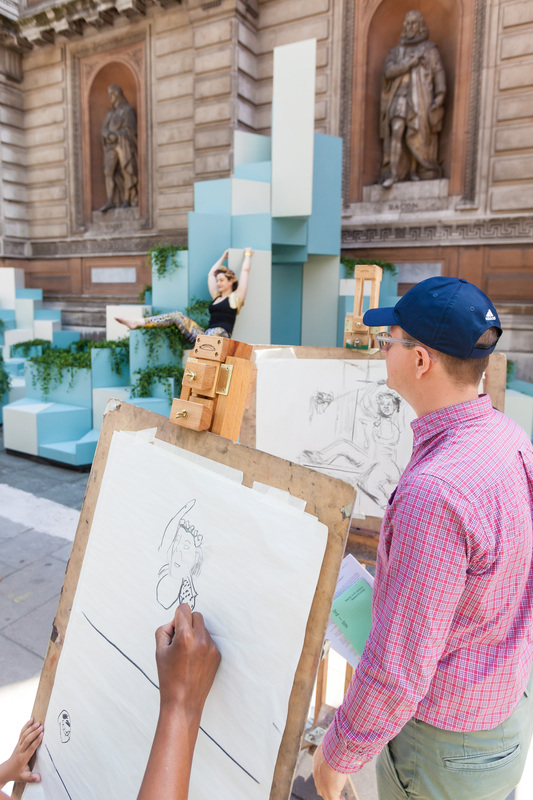 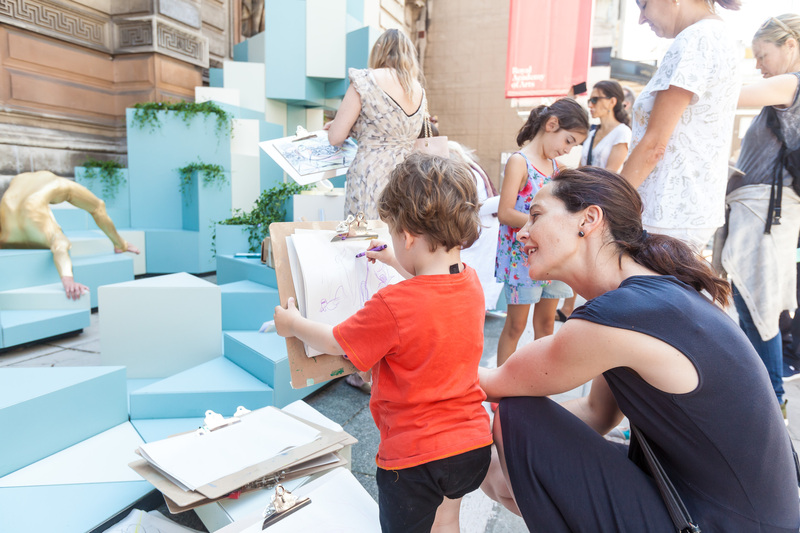 Hundreds of families and visitors of all ages enjoyed drawing with us across the celebrations as Burlington Gardens, outside RA, was closed to traffic and turned into a creative, architecture themed street party! 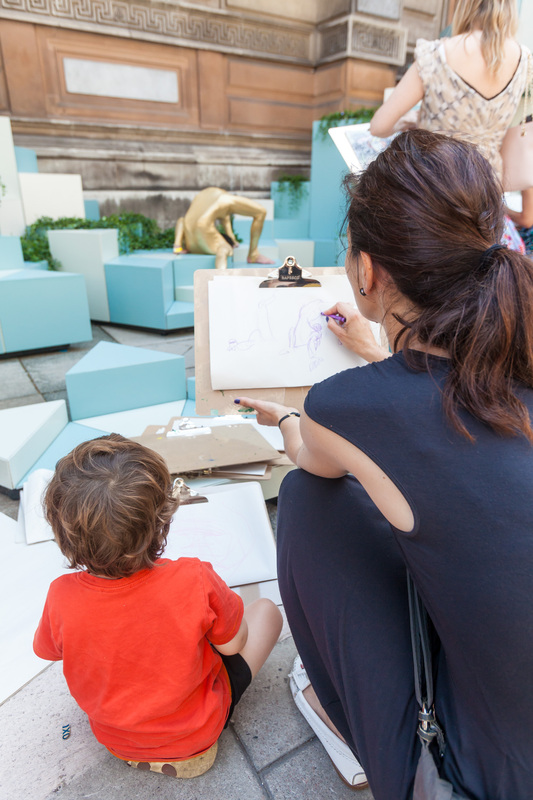 We loved seeing children and adults of all ages take up their crayon, coloured tape and charcoal to capture our challenging poses. 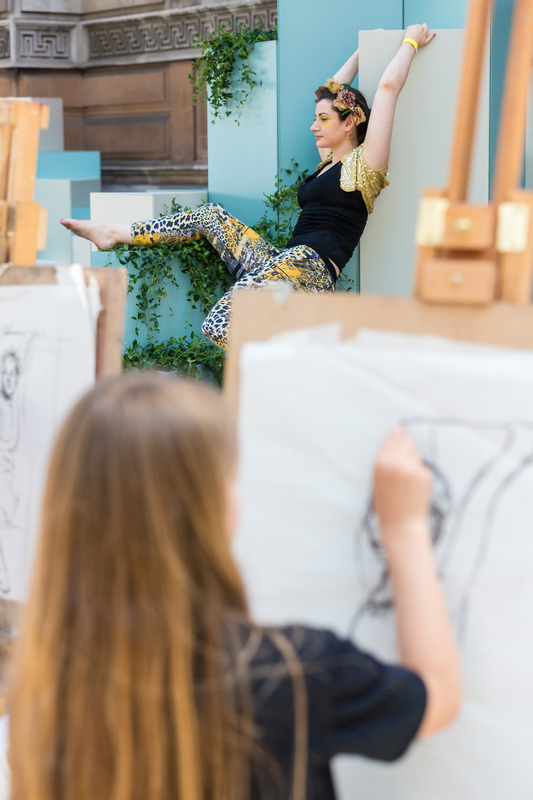 Most poses were dynamic and short (as such tricky poses to hold) between 2 and 10 minutes. 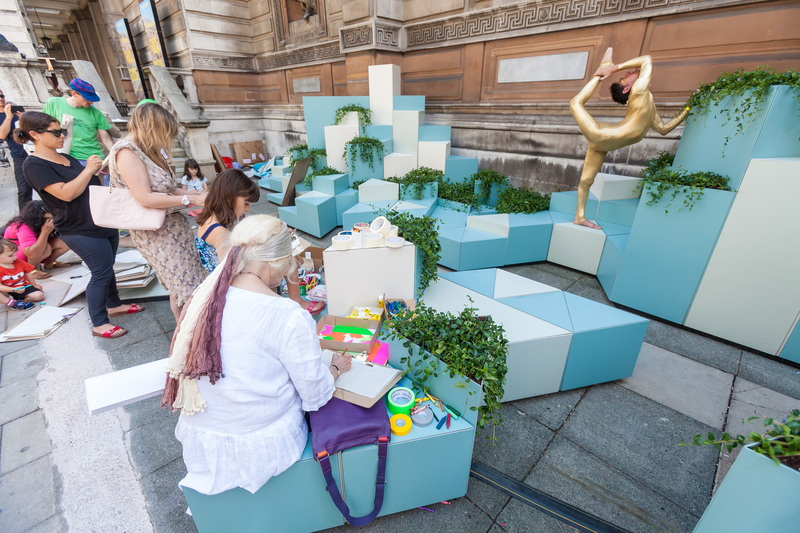 Other activities on the day included screen printing, live music, Lego workshops and special garden installations on site. 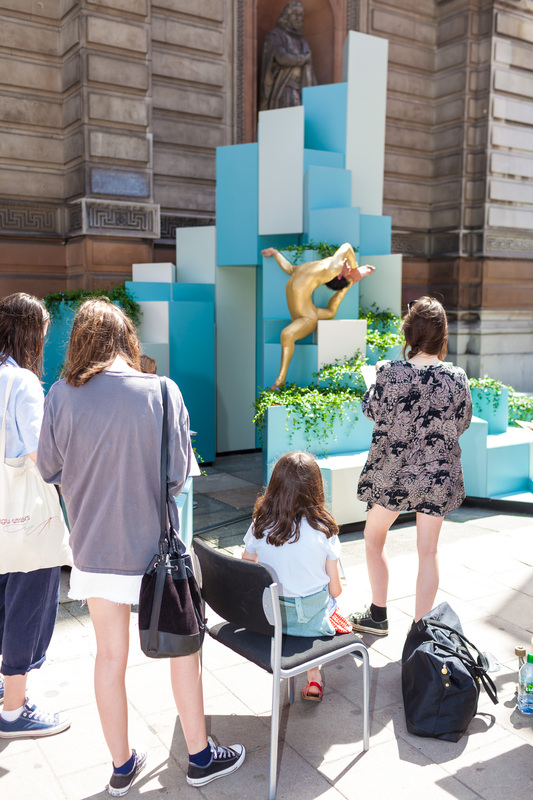 Thanks to Gwen and Imogen at RA for having us, assistants Farida and Phil, Models Tommaso Di Vincenzo and Amy Nick. 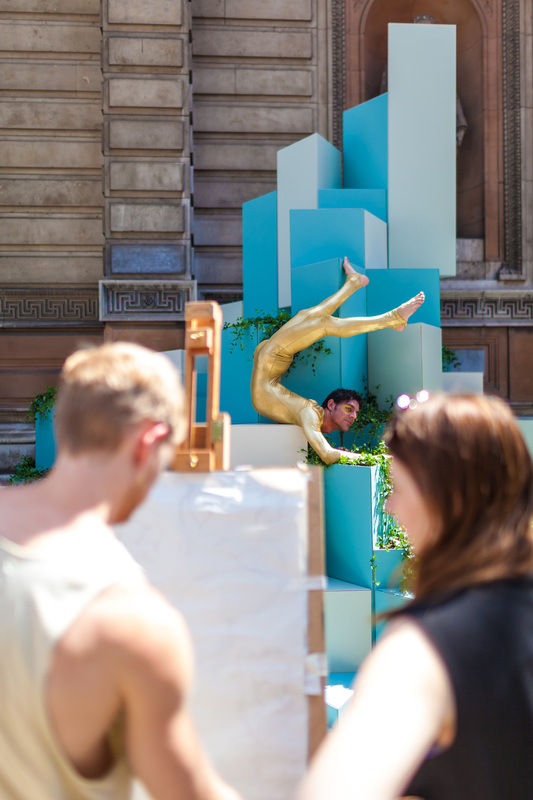 Photos by Benedict Johnson (c).